I have few keys that I am happy to give away for those who would like to receive them. Well, let's play some games! Given that I don't really have much time, I would ask your help with that. I ask a question / start a sentence. You can answer to this thread as many times as you want. Task can be changed every 5 answers It can also be changed anytime by any person if the correct answer has already been given / task hasn't been changed for more than 6 hours. If this person didn't change the question, the next person can do that. 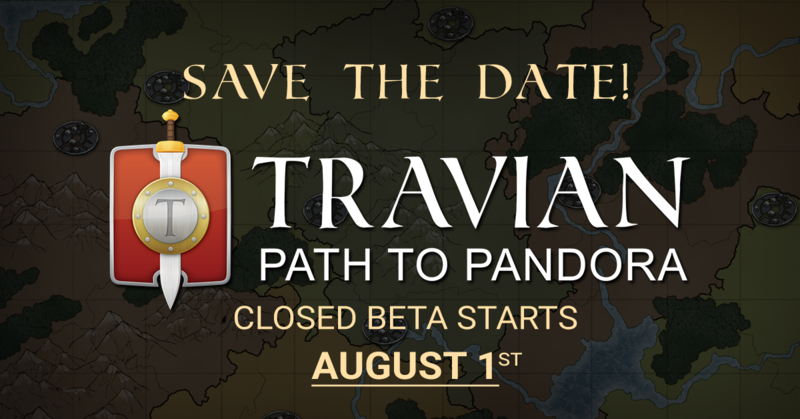 First 20 (unique) users who will answer this thread will receive a beta key. Rules can be adjusted if we have too few / too many participants. You can answer to this thread as many times as you want. First 20 (unique) users who will post an answer in this thread will receive a beta key. The best tribe to start game on Closed Beta is Gauls because if they get a head start early with TTS, their farming RULES! So, since the rules change.. can i reply again? The best tribe to start game on Closed Beta is Teuton because best early attacking tribe and you can chief all tribe to enjoy the new design of all tribes and explore the new rules. Sure you can And maybe we'll collect all 5 tribes here? The best tribe to start game on Closed Beta is... Egyptian due to early hero resource bonus and settling an Egyptian capital first, rather than waiting to chief it afterwards. Romans are the best tribe as you can gold up 3 things at once. The problem you face here is, that you'll need to chief an Egyptian 15c 150%, which would usually already be set as capital and have some reasonable def inside. I mean, sure it's possible, but people think it's as simple as just settling a village. The best tribe to start beta will be huns because the only thing you can't change later is the hero and huns hero special ability is superior to others later in game. Not sure where your superiority of that hero comes from if he's cavalry dependant. Unless you're rockin' a ghost that bonus is just a silly title if other troops are involved. Give me better hero ability midgame or later. I'd rather have an early game advantage to develop faster than this endgame which only applies to Ghost hammers mostly. I will not chief a capital I will chief a egyptian spawn, cata a capital and settle. I will chief a egyptian spawn, cata a capital and settle. Why not just chief a Egyptian 15c in the first place, if one has more, or hasn't set as capital yet? I don't understand the chief an egy spawn part.